The Director of Media, Buhari Campaign Organisation, Mr Festus Keyamo. The Director of Media, Buhari Campaign Organisation, Mr. Festus Keyamo, says the Buhari administration is prudent with the nation’s resources while embarking on projects in parts of the country. 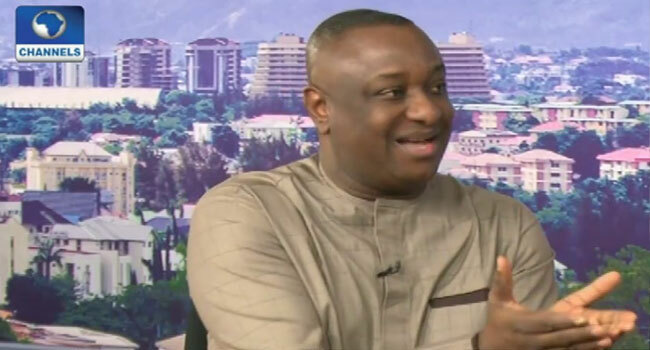 Keyamo who appeared as a guest on Channels Television’s Sunrise Daily on Monday stated that the Federal Government delivered infrastructural developments when the crude oil was as low as $28 per barrel. He said, “This government has shown the determination and the will to squeeze water from stone. At a point when they started taking this very critical infrastructure across the country – rail, roads and power – oil dropped to 28 dollars per barrel. Keyamo’s comments come 24 hours after President Muhammadu Buhari revealed his administration’s plans for the next four years. At an event tagged ‘The Next Level’, to mark the launch of his campaign ahead of the election, the President said his administration will remodel 10,000 schools every year. The Buhari campaign spokesman stated that the President has plans to deliver more dividends of democracy to Nigerians. According to him, the bane of Nigeria’s development has been the mismanagement of public funds.